Actress Kangana Ranaut lashed out at Bollywood for not supporting her recently-released film Manikarnika: The Queen Of Jhansi and said that the industry has "ganged up" against her because she spoke up about nepotism earlier. At a promotional event, the 31-year-old actress said, "Is the Queen of Jhansi my relative? She is yours as much as she is mine... then why are these people hesitating? Because I spoke up about nepotism? That scared them? They have all ganged up together like a classroom of kids because I spoke up about nepotism." 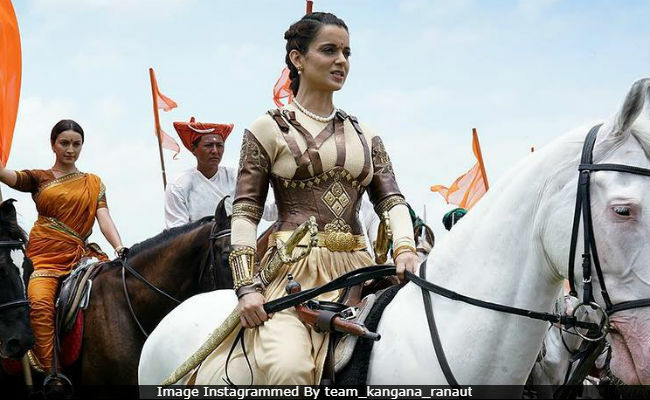 Manikarnika, based on Rani Laxmi Bai, featured in headlines after Kangana and co-director Krish fought over directing credits for the film. In 2017, on Karan Johar's chat show Koffee With Karan, Kangana had called the filmmaker 'intolerant' towards outsiders and a 'flag bearer of nepotism,' which prompted several debates and discussion within the industry. Meanwhile, earlier this week, in an interview to Pinkvilla, Kangana said that she has reached out to her colleagues previously when their films release, but "she gets no response from anyone" about her projects. She said, "These girls send me their trailers like Alia (Bhatt) sent me the trailer of Raazi and said, 'Please watch it'. For me, it was not a Karan Johar film or Alia film, for me, it was a film on Sehmat Khan, the girl who has given her everything to the country. When Aamir Khan called me for Dangal, Secret Superstar, I went all the way to Ambani house. Dangal, for me, was a film about women empowerment. But they don't have time for any of my trails. I have two-three films coming up, but I don't expect people to write about them." Kangana Ranaut headlines Manikarnika: The Queen Of Jhansi, which also stars Ankita Lokhande, Atul Kulkarni and Jisshu Sengupta. In the tussle over the film's directing credits, Pooja Bhatt, Bejoy Nambiar and writer Apurva Asrani, who in turn challenged Kangana's writing credits in 2014 for Simran, have sided with Krish while actresses Waheeda Rehman and Asha Parekh praised Kangana for her work as the film's director.